This healing mantra is recited at least 3 times at the beginning of each practice of Kundalini Yoga and every once in a single breath. Moreover, it is a potent mantra of openness to harmonize yourself and balance your emotional world. It connects and protects you with your interior. The Sanskrit mantra connects us with the Golden Light. Ong is “Infinite Creative energy in manifestation and activity”. 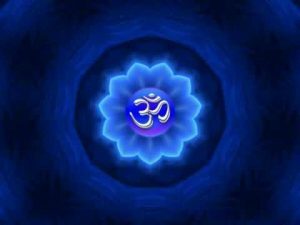 It is a variation of cosmic syllable OM, the primordial sound, which is used to refer to the life force in its absolute state or unmanifested. Namo is „reverent greetings”, implying humility, Along with „Ong Namo” signifies „salute to the infinite creative consciousness”, logging in to the universal consciousness that guides every action and opens the external knowledge, the environment, and the spiritual teacher. Guru signifies „wisdom or teacher”. Guru is the master or the manifestation of wisdom you are looking for is something that takes you from darkness to light. Dev signifies „Divine or of God” and Namo reaffirms humility and reverence. In al,l it signifies – „I call upon Divine Wisdom”. Furthermore, „Dev” opens your inner wisdom and gives meaning to what you have learned applied to your life. When practicing Kundalini Yoga, always chant this mantra, which has the effect of uniting your body, mind, and soul and linking you with your higher consciousness. On a mental level, with pure thoughts, great positive thoughts, divine thoughts, your mind gets purified. Therefore, by daily repetition of this mantra, you begin to get pure thoughts and positive prana flows into your mind. On a physical level, by daily repetition of this potent mantra, your physical body gets purified and unwanted toxins are removed from it. Kundalini Yoga derives its name through a focus on awakening kundalini energy through regular pranayama (breathing exercises), the practice of meditation, reciting of mantras and yoga asana. The Sanskrit word „kuṇḍalin” signifies „circular or annular”. In 1968, Yogi Bhajan brought in his own brand of Kundalini yoga into the United States, „Kundalini Yoga as taught by Yogi Bhajan”. This entry was posted in Kundalini Mantras on March 9, 2016 by admin.